From humble beginnings in shed and log cabin production, one small machine and jig tucked away in the corner of our timber mill, the operation has gone from strength to strength and in 2008 we moved to the larger premises you can see above to allow space for more machinery, materials and staff. Now with an established standard range all the way from very small storage sheds to extra large log cabin homes we take great pride in each individual product we produce and it shows in the superb finished quality of every Tiger Shed and Log Cabin. With a large team of highly-skilled manufacturing staff and the combination of modern machinery and traditional hand crafting methods our state of the art production unit is able to produce fantastic buildings from mass-produced apex style sheds to one-off bespoke designs. 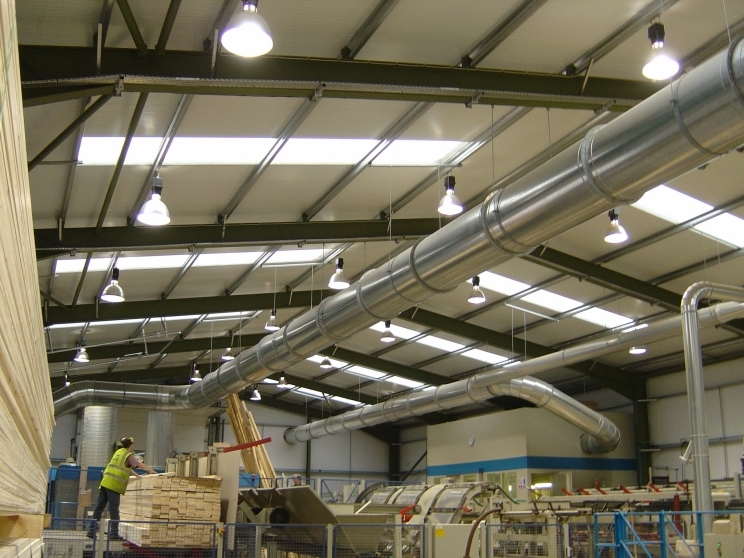 Despite the growth and success of the operation we still retain the care and ‘hand-made’ attention to detail that has helped to separate our products from the numerous other inferior quality buildings available on the market. We are proud to be able to say that none of our wooden buildings are imported or externally manufactured or machined - we have our own mill, here in Leeds, owned and staffed entirely by us. This gives us complete control over the manufacturing process from start to finish meaning we can oversee the quality of our timber. Any timber found to be inferior is simply not used. 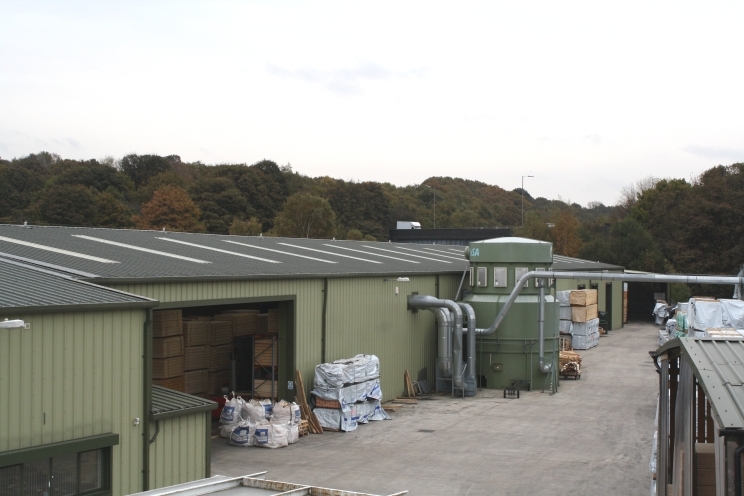 Our extensive range of specialist equipment and machinery is manned by skilled and experienced members of staff and means our sheds and log cabins are built to the highest quality. Tiger Sheds invest heavily in new machinery ensuring quality and accuracy is always maintained. Most other online retailers do not have their own mill and are likely to import their products from abroad, or simply sell on other companies products, taking their 'cut' of the profits. This leaves you, the end customer, with no idea where the product has actually come from and who has been responsible for its manufacture. As a result many competitor sheds and log cabins have therefore been sat in stock or left dock side for months on end - ours are fresh and made to order! Furthermore, if you bought an imported building and for any reason a component was missing, incorrect or damaged upon arrival (in our experience such problems are unfortunately rife with imported buildings) you may be waiting months for a replacement component to get to you. We employ staff specifically for the task of quality checking and most of our line items are also photographed at various stages as well as being signed off by our quality control teams. We know that sometimes people can be apprehensive about spending their hard earned money on the ‘net' and so we’ve done something that our competitors can’t…. created a national public showsite to display the Tiger Sheds range! So don’t be shy, come and visit us! Come and see, touch, feel and admire our range of garden sheds and log cabins at our national Tiger Sheds showsite at Woodlands DIY Store in Leeds, where you can view a selection of our buildings in various sizes, colours and finishes. Find out for yourselves why our value and quality is unmatched on the internet and satisfy yourself that you are dealing with a real ‘bricks and mortar’ company. Our showrooms are open Monday to Saturday 8am – 5pm, Sunday 9am – 3pm. Or call us for directions 0113 205 4189. With a growing fleet of modern delivery vehicles, Tiger Sheds can deliver products throughout most of the UK directly to your home, free of charge. The vehicles are bought from new and serviced regularly allowing us to provide a reliable delivery service and stick to our timed delivery slots. For more information regarding this, please see our delivery section, accessible from the help centre. Simply order online with our secure online payment system or feel free to call us on 0113 205 4189 for any enquiries or to place the order over the phone. Tiger Sheds is a part of the Tigerbox Group. Tigerbox is a rapidly growing online retail group specialising in the development of e-commerce driven websites particularly in the outdoor and garden market sectors. Our core strength lies within our dedicated and ambitious team, who are well trained, helpful and knowledgeable in all areas of each site we develop and each product we sell. We make it our business to have someone ready and waiting with the right answer should our customers have any question or query about any of our websites. Our vision is to continue our journey to becoming the UK’s leading electronic suppliers of outdoor and garden supplies, renowned for providing excellent quality products at affordable prices and offering unprecedented levels of service. We envisage a time where anyone thinking of making an online purchase for their garden will instantly think of our ‘TIGER’ branded websites. Our mission is to meet the demands of the modern day online consumer by providing a quick, easy and secure way for them to buy products online, at competitive prices, delivered directly to their door.